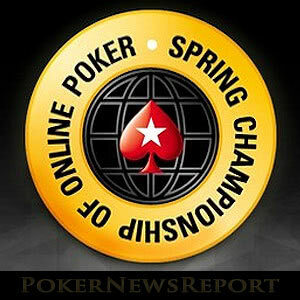 PokerStars has released a preliminary schedule for the 2017 Spring Championship of Online Poker (SCOOP) and guaranteed the series for $55 million. This year´s SCOOP series consists of fifty-seven events – each with low, medium and high buy-ins – and will run over three weeks and a day from April 30th to May 22nd. Although the guaranteed prize pools for each individual event have not yet been released, PokerStars has guaranteed the SCOOP 2017 series for $55 million – an increase of $15 million from last year. The schedule features many old favourites and several new favourites, including three “Win the Button” tournaments and a NLHE 100% progressive knockout event in which players only win what they receive for eliminating an opponent. There is also a good mix of games that you cannot find anywhere other than PokerStars and some interesting formats to keep players on their toes. The first week of the schedule is dedicated to three phased tournaments (with buy-ins of $11.00, $109.00, and $1,050) that will likely be guaranteed for an obscene amount due to players having the opportunity to enter multiple times. Phase 1 “qualifiers” will be played throughout the first week of the series and several times throughout May until the final of the event (“Phase 2”) on May21st. From Sunday May 7th, SCOOP 2017 kicks off in earnest. The early events in the schedule follow the pattern of the regular Sunday Majors at PokerStars (“Sunday Kickoff”, “Sunday Warm-Up”, Sunday Million”, etc.) with low, medium and high buy-ins for each. The fun doesn´t really start until Monday, when the SCOOP 2017 schedule include a No Limit 6-Max Progressive KO Omaha Hi/Lo event and the first of the “Win the Button” tournaments. The highlight of the midweek action in Week 1 (2?) is the $25,000 buy-in 8-Max High Rollers event on Wednesday 10th May. 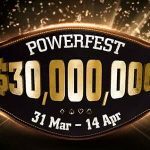 Again, PokerStars is yet to reveal what the guarantee might be for this event (Party Poker is hosting a similar event the following week guaranteed for $2 million), but it should be loaded with familiar faces and well worth railing if you do not have a spare twenty-five grand in your bankroll. 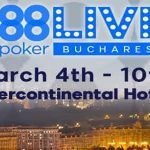 The first full weekend of SCOOP 2017 sees a return to the regular pattern of events, but the fun resumes on the following Monday with a Fixed Limit tournament and a “Bubble Rush” tournament. The 100% progressive knockout event takes place on Wednesday 17th May, and there are further novelty events lined up for the rest of the week before the climax to the series over the weekend of May 20th/May21st features Main Events with buy-ins of $109, $1,050 and $10,300. 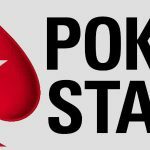 In previous years, PokerStars has run some valuable and rewarding promotions alongside the Spring Championship of Online Poker. 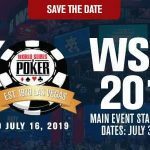 In 2015 the site gave away $400,000 in Main Event entry tickets plus another $100,000 in tickets for other SCOOP events, and last year hosted a special SCOOP Spin & Go event with a higher than average probability of winning a Main Event entry. As this year´s “High” buy-in Main Event will likely be guaranteed for around $6 million, and pay at least $1 million to the winner, it is well worth looking out for pre-SCOOP promotions. PokerStars is pretty good at keeping players informed about its promotions via email, but if you want to be sure you don´t miss any news about what is going on in the run-up to SCOOP 2017, be sure to follow @PokerNewsReport on Twitter.